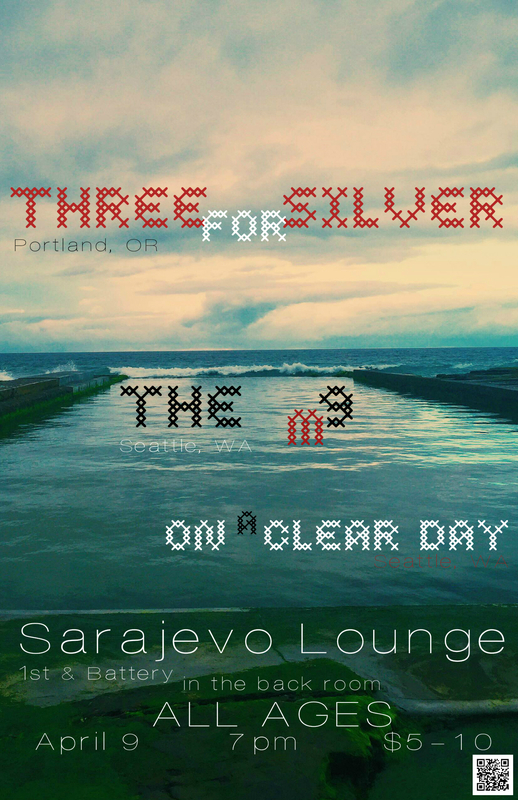 Come see us this April 9th at the Sarajevo Lounge in Belltown with Three for Silver (PDX) and our own Stef Brendler’s solo project, On a Clear Day. Once described as “the acid baby of Tom Waits and Victor Wooten,” Three for Silver delivers compelling, gritty future-folk via a trio of superb instrumentalists, Lucas Warford, Willo Sertain, and Greg Allison. Stef Brendler, our own baritone player, brings her considerable talents as an accordionista, vocalist, songwriter, and sound engineer to bear in On a Clear Day. Expect powerful storytelling, vivid electro-acoustic soundscapes, and the occasional shanty. We’re looking forward to this exciting and unconventional evening of music and surprises. Doors at 7pm, sliding scale $5-10, and this one is an all ages show.